I’m not going to write a full tutorial on painting stripes because there are already plenty of those out there. 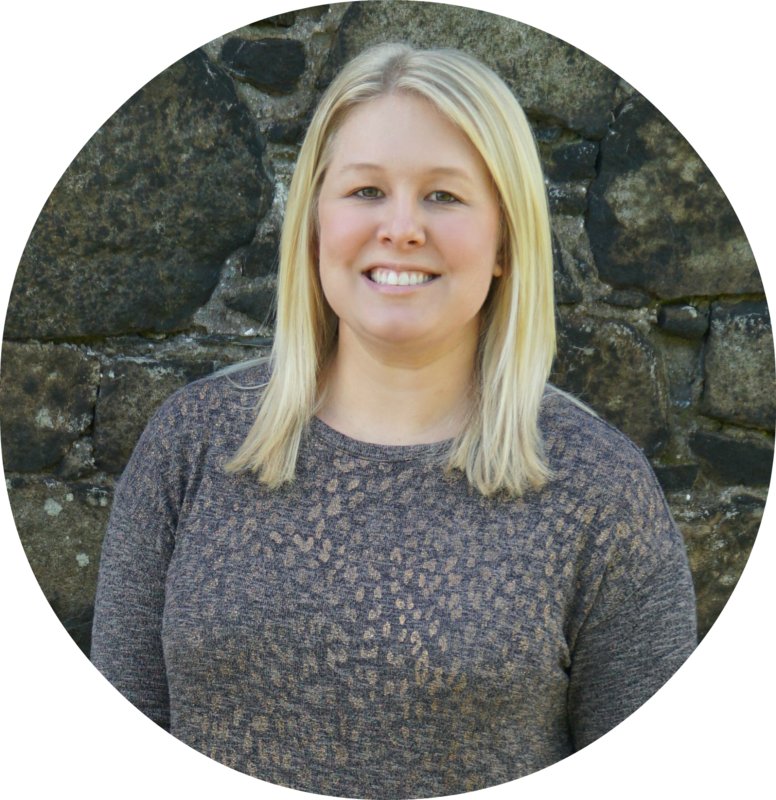 Today I just want to share 6 tips that helped me create straight, level, crisp stripes around my office. See the full room here. Make life easier by picking an odd number. 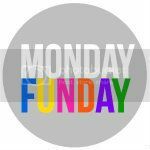 By choosing to paint an odd number of stripes you can leave the top and bottom stripes the original wall color. That means not cutting in at the ceiling or the baseboards! I went with nine stripes that were about 10.5 inches wide. 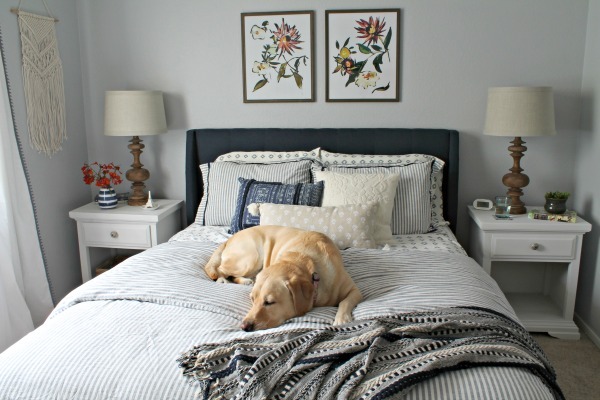 If you are going to paint stripes around the entire room, start with the simplest wall. Start with a wall without windows or doors, if you have one. That way you’ll have one full wall of stripes to help line up the stripes around the rest of the room. This will make more sense in the last tip. Buy a level/straight edge/ruler in one. I bought this Stanley one at Wal-Mart for $5.88 and it was worth all 588 pennies. Seriously, this will save you so much time and (potential) heartache. Pretty much all of the stripes in the room are based off the very first one you measure out, so it needs to be perfect. Just line it up with the ceiling, make sure it’s level, and make your mark. Do this across the wall and then use the straight edge to mark your line and the level to make sure it’s straight. Mark the stripes you aren’t painting with tape. This might seem stupid, but just a few chunks of tape every couple of feet will help you avoid any confusion or mistakes. 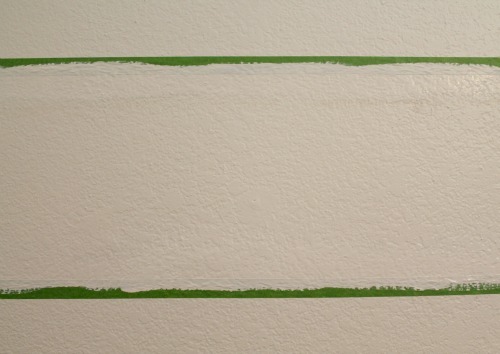 Use the original wall color to seal the edges of the tape. This is my number one tip for crisp lines! 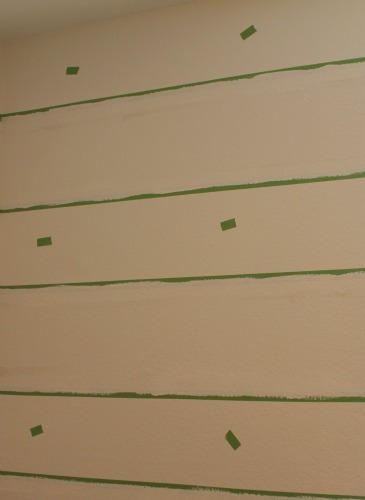 After you tape your stripes, use a brush and paint the original wall color over the edges. Trust me, it works! Remember the blonde moment I mentioned? Well, my blonde moment was accidently painting the new stripe color to seal the edges. Once I realized my mistake and pulled off the tape, I saw that the paint had bled under the tape in some spots. Using the original wall color really does help keep the lines clean. Oh, and here’s half a tip…once you are all done painting, pull the tape off. Don’t wait for it to dry! I pulled the tape off after I finished every two stripes. And finally, use your first wall as a “guide” to measure the remaining walls. 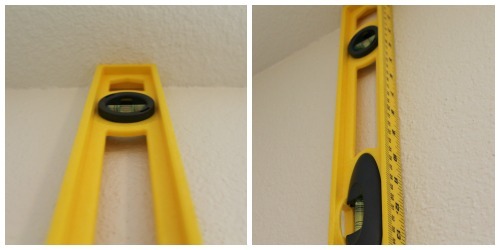 Instead of measuring from the ceiling down, measure from the corner of your “guide” wall. Your ceilings might be higher/lower on each wall, so this will ensure the stripes all meet at the corners. 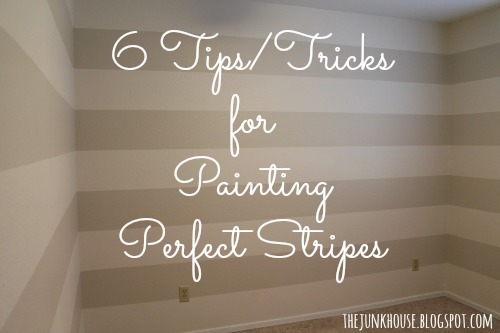 And those are my 6 tips for perfect stripes! Who’s ready to start painting?! If you decide to paint stripes in your own home, feel free to ask any questions. I’m certainly not an expert, but after painting four walls I feel like I made enough mistakes/good decisions to help answer most questions. Or if you have any tips of your own, leave them in the comments! I was thinking about doing some stripes...thanks for the tips! Great idea about the odd number and leaving the top and bottom the original color. This is awesome!!! I am definitely going to be using these tips on our office!! Thanks girl! I have done stripes before and love the idea of marking do not paint zones! Wish I had thought of it! Thanks for some great tips. I had a professional do my basement walls with similar stripes about 6 years ago. The next time I attempt these I shall do them myself now that I have tried regular painting myself. Great tips - starting on a wall with no windows and certainly the removal of the tape before paint dries. Thanks for sharing! This looks amazing! I wish I was brave enough to try this! That's the perfect tutorial. We have the same levels! I love a girl with tools. So cool! You make it look so easy! Will keep these tips in mind for when I paint stripes..thanks! Great tutorial and tips! I've been thinking of striping a wall for some time now! Awesome tips! I've read a couple others and none of them mentioned using the original color to seal the tape. Anyways it looks beautiful. Great tips! Thank you for sharing them. Our Simply Create Link party is going on right now. I would love to have you link up, as I'm sure my followers would love to know these tips too. Hope to see you soon!